Rebecca Balcerzak is a Senior Project Officer at Families Canada. She manages projects that benefit at-risk families and the professionals who support them. She also synthesizes academic articles related to the family support field into accessible resources. 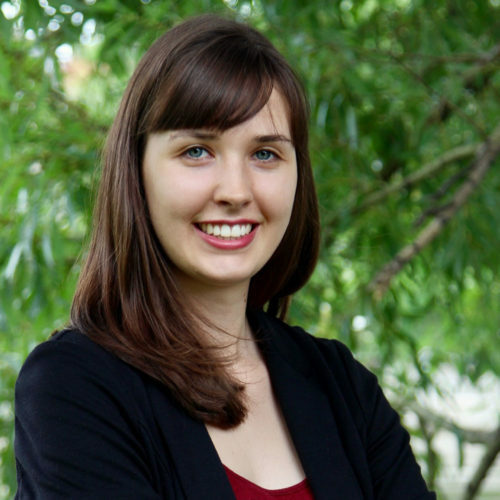 Previously, Rebecca worked at Natural Resources Canada in a communications position. Rebecca brings to Families Canada strong writing, editing and project management skills. She also brings to her work a passion for helping families and children. Previously, she was a Reading Buddy at the Ottawa Public Library and volunteered with autistic children at the Waterloo Minor Soccer Club. Rebecca holds a Bachelor’s degree in English Literature with a minor in Political Science from Carleton University. Rebecca’s passions and interests include reading, writing, food and dogs.